My sister claimed this holiday as her favorite when we were younger. As a kid who wouldn’t love candy being tossed from a bright red fire truck while watching a parade? And how about snacking on Twizzlers while laying on a blanet and watching the purple BOOMS and the blue SNAPS fill the sky and your ear buds? It’s pretty magical. 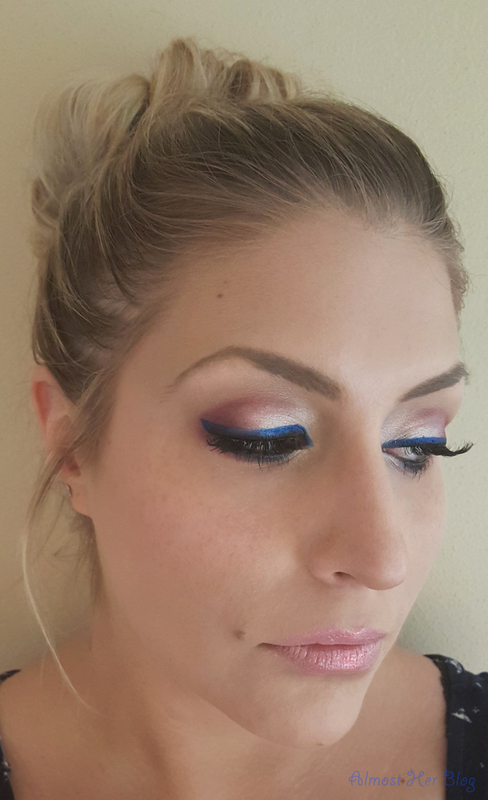 As an adult I realize that running to the street to grab candy for yourself is shunned so I like to keep the festivities alive by playing with fun makeup colors. I feel like on the 4th we can get away with more in the name of spirit and creativity. 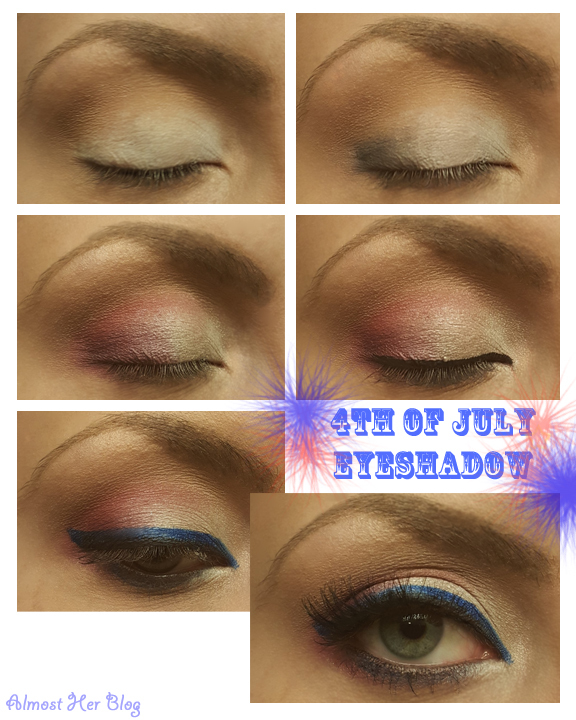 Okay, here is my fun final and much loved 4th of July Look! 1. Prime the shiz out of your clean eyelids with an eyeshadow primer (Urban Decay’s Primer Potion) for extra staying power. After it sets blend a cream colored matte shadow (UD’s Foxy) all over to set it. Add some taupey color (Smashbox’s Doe) in the crease for blendability later on. 2. Add your white eyeshadow base on 2/3rds of your eyelid. Then smudge a black base on the outer corner for more dimension. 3. Set the white base with a pretty sparkly white eyeshadow. Also apply this under your brow bone for a highlight effect. 4. 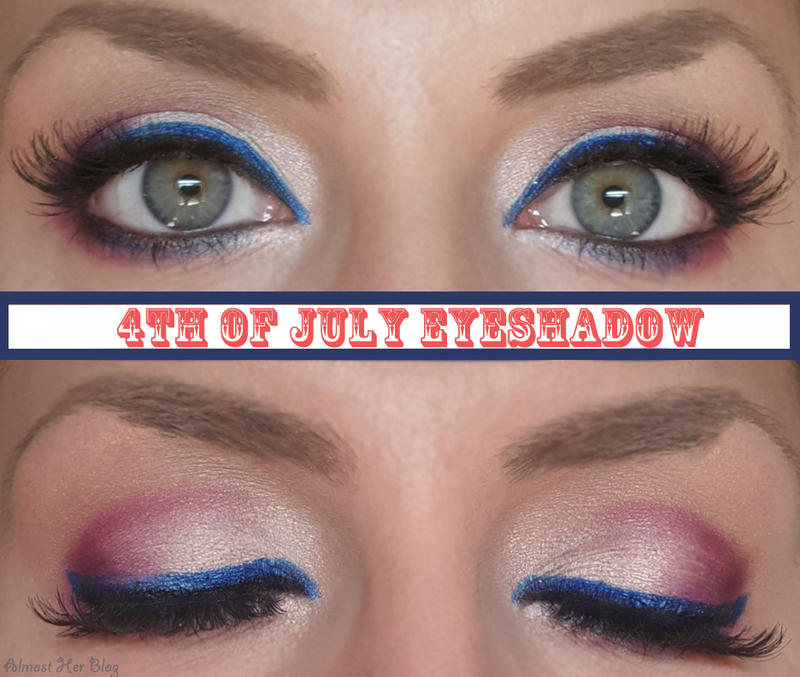 Take your red eyeshadow and apply it to the outer V and blend up along the crease along with your taupey color. 5. Lightly line your eye with a black gel eyeliner in the upper and lower waterline of your eye. Then apply a thin black liquid liner right along your upper lash line. *6. For this part I used the Electric Blue NYX Liquid Liner above the black and HERE’S where I ran into trouble the first go-round. The applicator was hard for me to use to get my liner the way I wanted. It was hard to draw a good line with it. 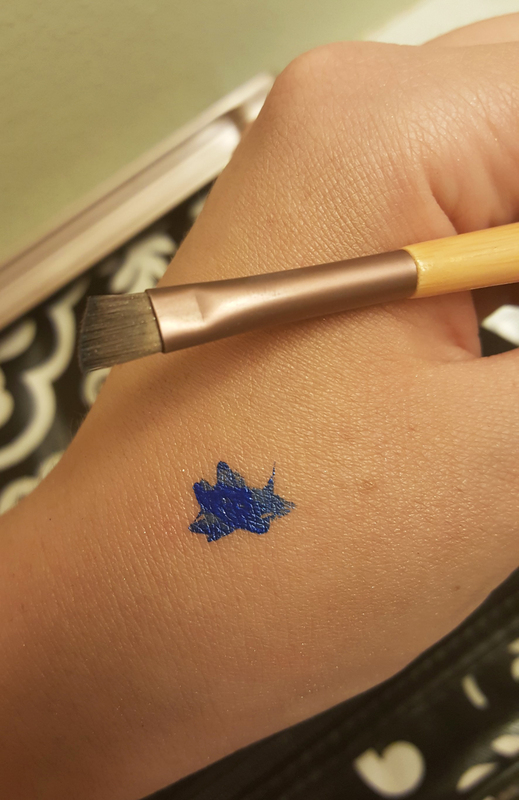 I still love the color so this time I put the liner on the back of my hand and used a small angled brush to dip into the liner and apply it that way. It gave me a better and more precise line. I traced the black line and slightly winged it out at the end. 7. On the bottom lash line I applied white, then blue, and red. Make sure to blend them together and soften the edges. 9. Curl those pretty lashes, throw some mascara on, and add a fake lash if you’d like! Ta-da!! 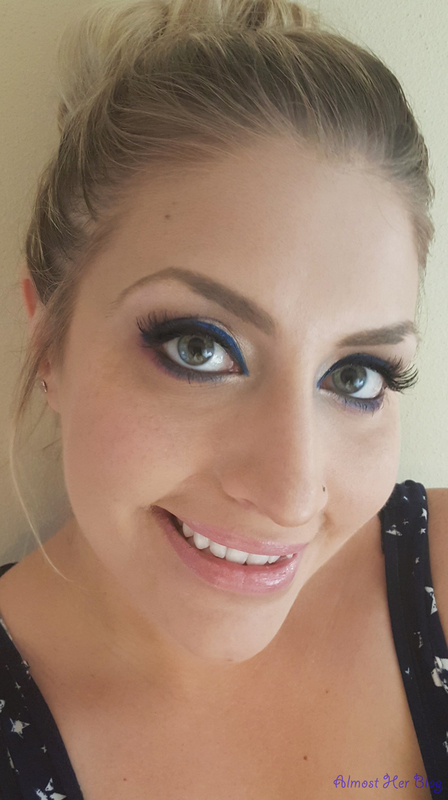 Eye look complete =) If you have any questions feel free to ask! Or if there are any looks/tricks you’d like to see please let me know! Thanks and I hope you enjoyed it!! Have a Happy Fourth of July! !